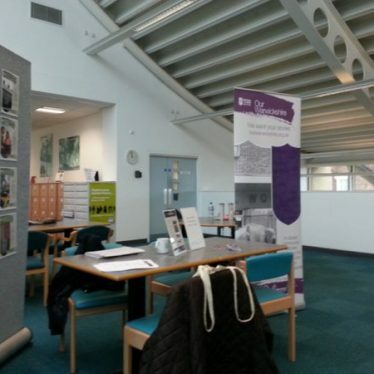 At Rugby Library preparing for the evening's talk. 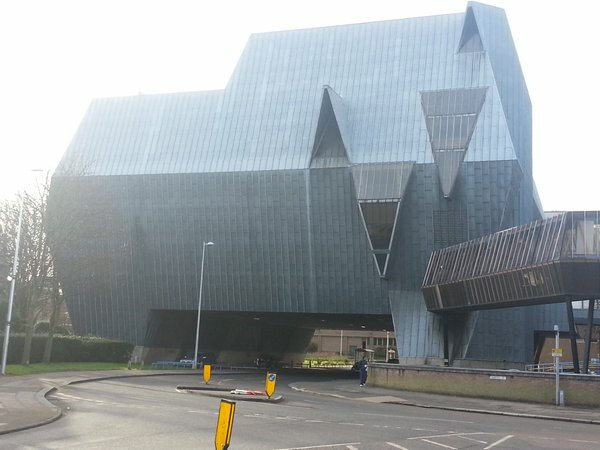 Before the CWR interview, taking a snap of the 'elephant' in Coventry. Touchdown at Rugby Library for the day session. 14st (I think). Alcohol units, 0, cigarettes, 0. Calories, more than I should have. 8:50am, Coventry, my house. Ugh. It’s a busy week this week, that begins as I stumble out of bed, turn on the laptop to find a message saying the Radio CWR slot to talk about the Our Warwickshire website is moved forward by an hour. Ring them to confirm I’ve picked up the message, go into the studio in Coventry. Coventry is cold, and only having two left handed gloves in the car doesn’t help me warm my hands. As is traditional for me, I arrive stupidly early for fear of traffic hold ups (missing the fact that nobody of sound mind is causing traffic hold ups at 9:00am on a Sunday). Take a couple of photos for twitter, including of the elephant sports centre in the city. It’s set to be demolished – I might write a post about it later. 9:50am, CWR Studios. My moment’s coming. Everyone here is remarkably cheerful, I’m welcomed with tea and lots of encouraging words. My main concern is remembering who I am and why I’m there. Now’s a golden chance to plug the Our Warwickshire website, and encourage people to turn up to the website events we’ve got running during the week. Much to my surprise, I remember my name and where I come from. Apparently the interview goes alright – who am I to say mind you, I can only go by the peer reviews! Go home, go for a walk… paint a shoe rack. Scoreless draw in Valentine’s Cards sent and received. Still 14st I assume, but I’m not weighing myself. 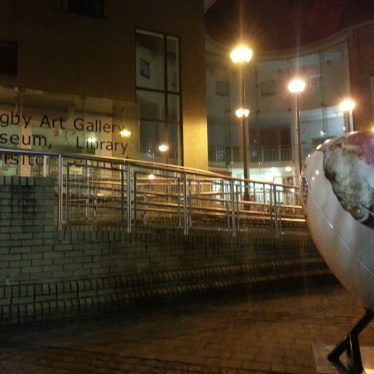 7:00pm, Rugby, Art Gallery & Library. A talk to the Rugby Family History Forum, all 32 of them. The first challenge is to find a pay machine for the car park. Joined by my colleague Benjamin Parker, the second challenge is to get my laptop going, there is a moment of panic when I am repeatedly greeted with a blue screen, resolved when Benjamin realises a dirty connection on the lead is to blame. Talk goes well, I remember to project my voice, and we then work the room. C’mon now, I’m not weighing myself every day. Standout is cajun ostrich for tea! 9:50am, Atherstone. 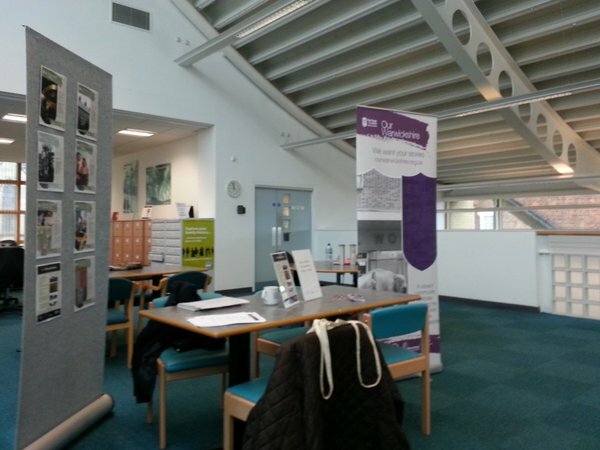 All this week, there are pop-up museum events in the town… but I’m not there! I am meeting with the secretary of the Atherstone Civic Society to go through a House History Project they hope to get published on the website. Watch this space… as they say! A ve-ry large baguette from the supermarket. 6:30am. 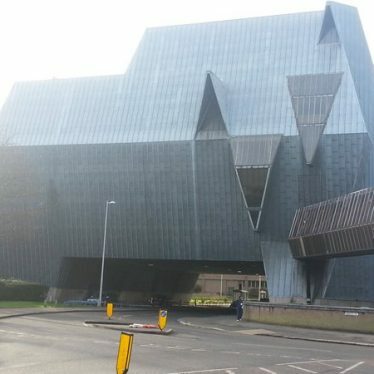 Coventry, my house. It’s another radio slot, this time for my friend’s breakfast show on Radio Plus (he’s the only person who calls me Dr. Ben, even if it does make me sound like a Simpsons character). I thought I knew Coventry, but manage to head off round the ring road a couple of times for luck… It’s then off to Rugby for a website event, where I’m joined by volunteer co-ordinator Sarah Hann. We meet some interesting characters and get some cracking stories, which are put onto the website. 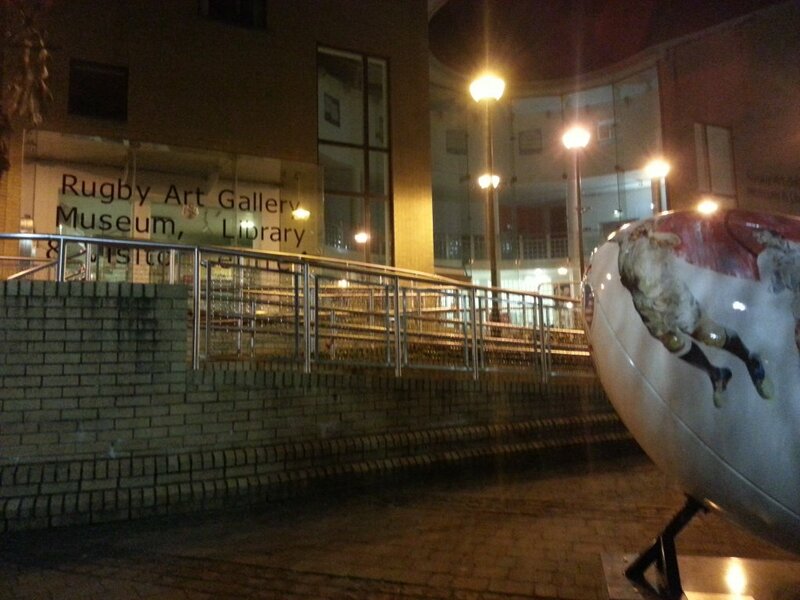 The people of Rugby clearly care about their heritage. Who knows what my weight is. This isn’t Bridget Jones you know! Random soup was, I believe, leek and onion. If I said Jerk Pigeon for dinner, would you believe me? Already we’re getting stories told us which are promising. In the best tradition of soap operas, I won’t give many spoilers but just encourage you to read the site in a few weeks. It’s now time to put into action the sessions over the coming few weeks. So, this was just a few days. The coming weeks see more website events, more pop-up museums, and more Orbit sessions. Let it not be said that we’re not getting out and about! Keep an eye on the events pages for where we’re going to be at any one time. This week, for example, will see the second week of the Orbit Intergenerational Project, a short presentation to the Rugby Community Action Network, and the Our Warwickshire pop-ups in Nuneaton. Wow, great to hear of all the good work going on – amazed you find time to eat with these busy days!